Weekends are fun in The Padilla 7 home. There is always a flurry of activity and it still feels like school days with the amount of movement we have to do from the morning all through the day. On Sunday, all 5 kids were invited to a 7th birthday party in Manila (happy birthday, Liam!) – we make it a point to ask the parents of the celebrant how many of our kids they are inviting. We don’t assume to bring all 5, of course. And well, the older 2 don’t really enjoy going to play places anymore. They just roll their eyes at us. 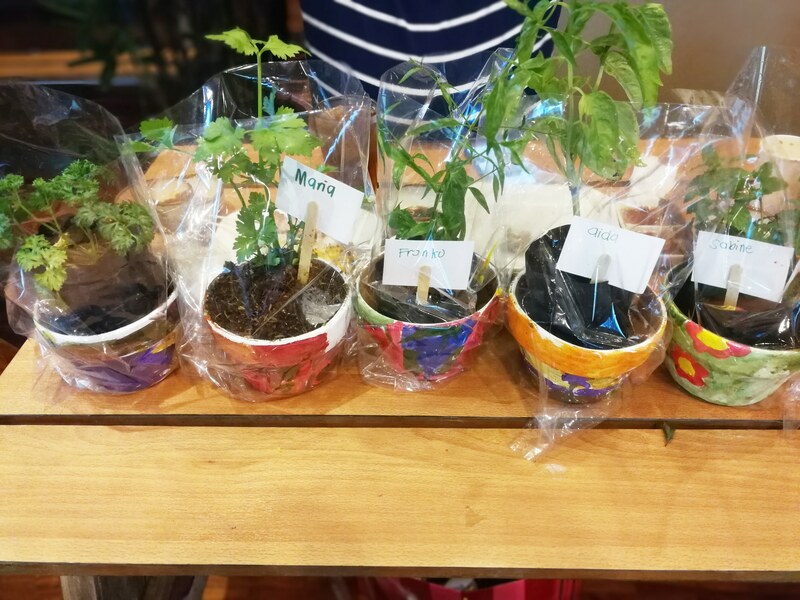 Hopefully, while they care for their plants, they see the importance of their plant being planted and rooted firmly in the soil. So it can grow and be used according to its purpose. Just like how we, as parents, want them to be as well. Planted and rooted in the faith. So they can grow and be used according the purpose God wants for them. That is the dream of any parent – and especially us who are in a Catholic and missionary community. We hope that the faith we are so actively pursuing and defending will be lived out by our children as well.